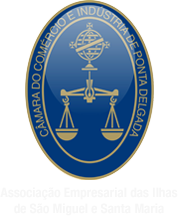 Welcome to the official Website of the Chamber of Commerce and Industry of Ponta Delgada (CCIPD). The CCIPD has a long history of promoting business activities in São Miguel and Santa Maria, together with the other Azorean Islands. The new board was elected in January 2013 and will sit for 3 years. During its term the Board will, with pride and a sense of responsibility, strive for the ideals that have been guiding the CCIPD throughout its existence. Recognising the severe economic challenges that businesses are currently facing, the Board devotes continuous attention and commitment to finding the most appropriate solutions to deal with these challenges constructively. In this new stage we will work, dedicate ourselves and accomplish new projects on behalf of businesses and of the regional economy. We expect this Website to be dynamic and revealing of our activity, but also a vehicle of our visitors’ contributions, so that we may always improve our services.